Left to right, Natalie Decker, Toni Breidinger and Leilani Munter all are entered in the ARCA race at Chicagoland Speedway on Thursday. 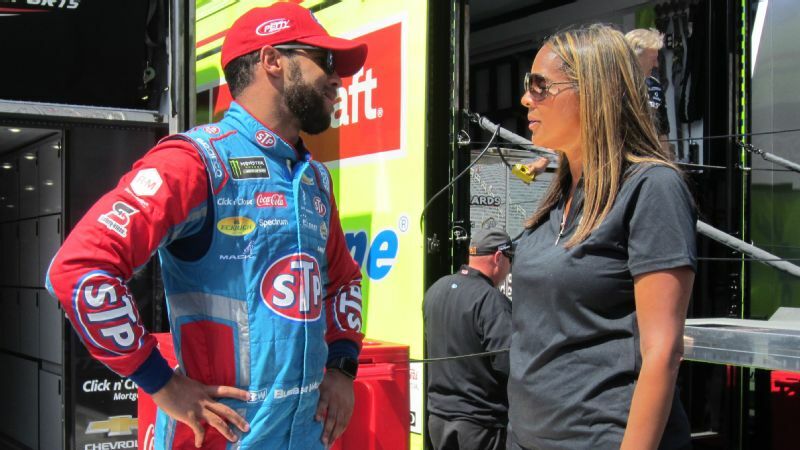 It's not unusual for Venturini Motorsports to field four cars in an ARCA stock car race, but at Chicagoland Speedway on Thursday night, the team will make history when three of its four drivers will be women. 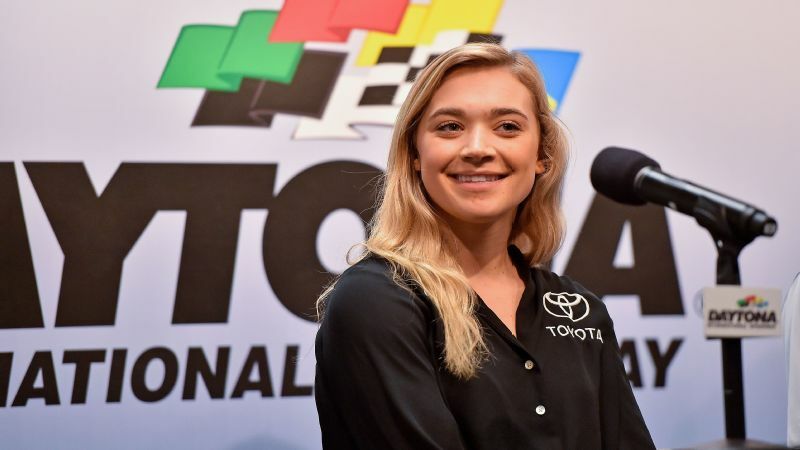 It's the first time in the modern auto racing era that a single team has entered three female drivers -- Natalie Decker, Leilani Munter and Toni Breidinger -- in the same event. The lone man on the Venturini entry list is Michael Self, who won the ARCA Daytona event in February. Tom Venturini, the team's marketing and public relations director, said having three women in the same event wasn't planned -- it's merely how their individual schedules developed. Once the team became aware of the situation, he said, "We realized we really had something special." "Still, we look at it that we're bringing four race car drivers to the track. It just happens that three of them are female," Venturini said. Decker, from Eagle River, Wisconsin, leads the contingent. 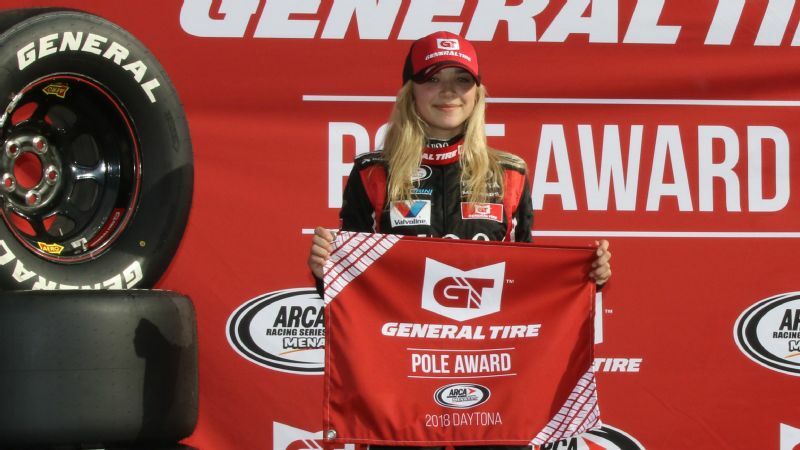 The 20-year-old ARCA rookie earned the pole for the season opener at Daytona and finished a career-high fifth in the event. That made her the third woman in ARCA history and the fourth in Daytona's six-decade existence to start a race from the pole position. She is seventh in the ARCA standings, with four top-10 finishes in 10 races this season. Munter, a Rochester, Minnesota, native, is making her sixth start this season at the 1.5-mile track. The 44-year-old Munter has posted two top-10 finishes this year, including a career-best eighth at Daytona. "It's incredible to be a part of an historic moment," Munter said. "I had never had a female teammate until this year when Natalie and I ran together for the first time at Daytona. I thought that was really cool. Now I have two female teammates. It feels like the tide is changing a little bit." Breidinger, from Hillsborough, California, made her ARCA debut with a 10th-place finish earlier this month at the half-mile Madison International Speedway in Wisconsin. 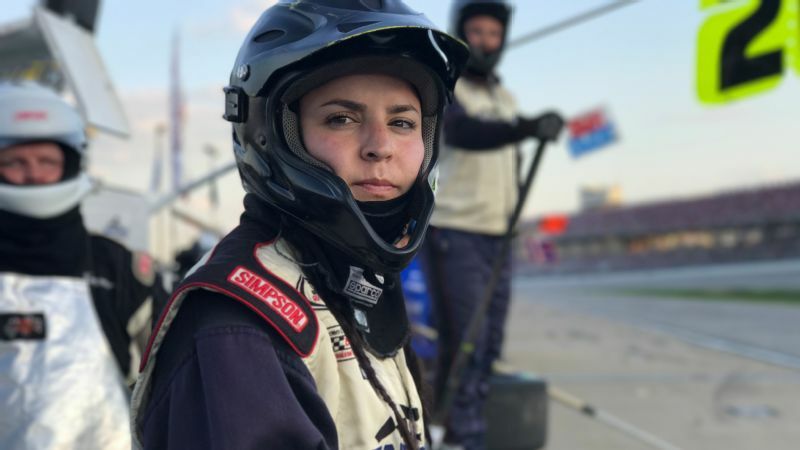 Breidinger, 18, is U.S. Auto Club's winningest female driver with 14 pavement victories. Two years ago she claimed the Speed 2 Western U.S. Pavement Midget Series championship. In addition to her limited ARCA schedule this year, Breidinger is competing full time in the six-race USAC Silver Crown Sprint Car pavement series with her family-run team, Breidinger Motorsports. Venturini Motorsports, which won an ARCA championship in 1987 with an all-female pit crew, had Johanna Long as its first female driver in 2009. Since then, Milka Duno, Alli Owens, Kenzie Ruston, Taylor Ferns, Nicole Behar and Trista Stevenson have driven ARCA entries for the Concord, North Carolina-based team. Behar's third-place finish at Madison in 2016 is the all-time best for a female driver in a Venturini Motorsports-prepared car. 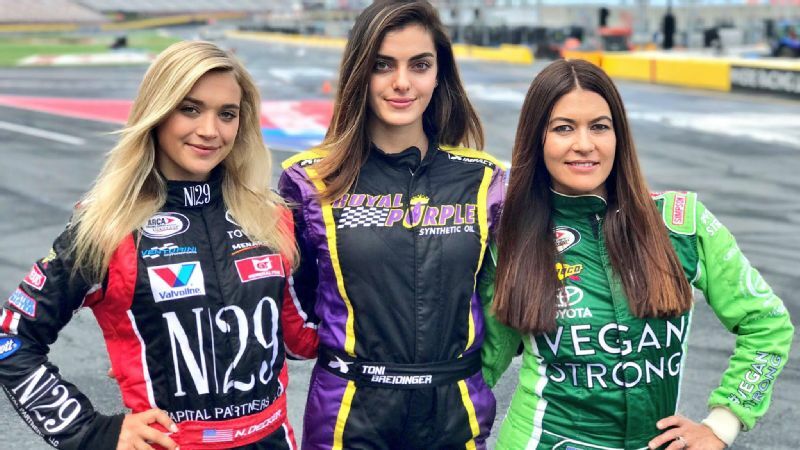 During the past decade, it has become common for Venturini Motorsports to have two female drivers in an event. Venturini says it simply comes down to "quality under the helmet." "We're in this new day and age where, obviously, Danica [Patrick] has kinda paved the way for these drivers," Venturini said. "I think female drivers used to be a footnote; they have become more the norm. I think the sport has accepted it, the manufacturers have accepted it and the sponsors have accepted it. "Truth is, the female drivers are coming whether you like it or not. They're here." Munter said what's happening in racing is a reflection of what's happening in society. "I feel like there is definitely a movement taking place across society of women taking our power back and it's spreading over into the racetrack," she said. "I am glad I am still out here racing to be a part of it."